Choosing the best kick drum mic can be an exciting journey, especially if you have a day or two to do your research and gather your thoughts together. 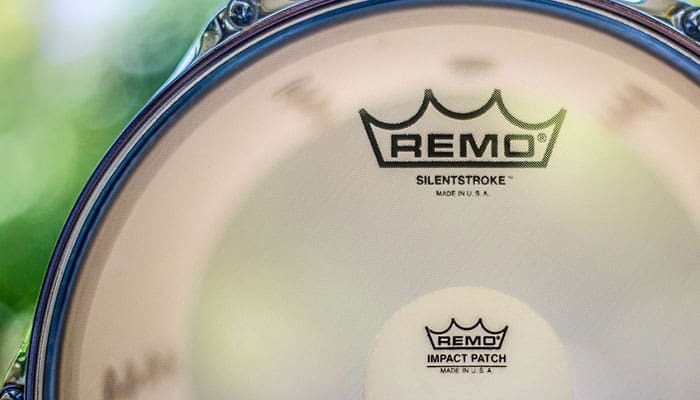 Many drummers absolutely adore the sound of their beloved kick , and that’s why they need the best gear they can get to represent those deep, rich, bass sounds. 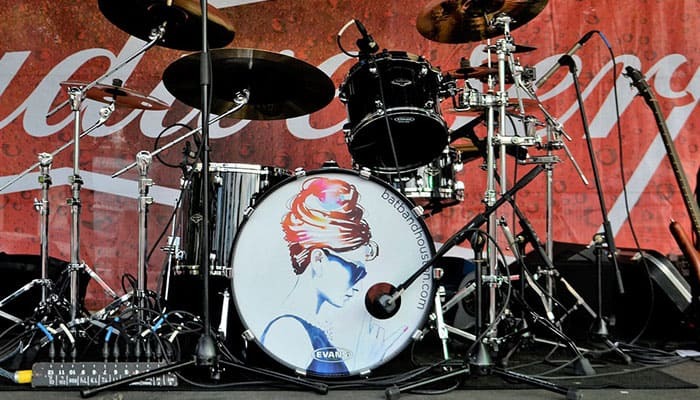 If you are new to the drumming world or have only been drumming for yourself these past few months or years, it can be a difficult and confusing step to choose a kick drum microphone. There are so many options and each microphone is different and offers different features. First you need to decide what you will be using your mic for: is it for live performances, in-studio use, or both? Various brands offer mics that are either just for live performances, just for in-studio use, or both (the last being the most common option). Once you decide whether you will be buying a mic to record professional tracks or to play live and not for demos or occasional use, you can move on to choosing mics with fitting specs! What's the Top Kick Drum Mic in 2019? What is a Kick Drum Mic? Why do you need a Kick Drum Mic and how do you use it? What are the benefits of a Kick Drum Mic? 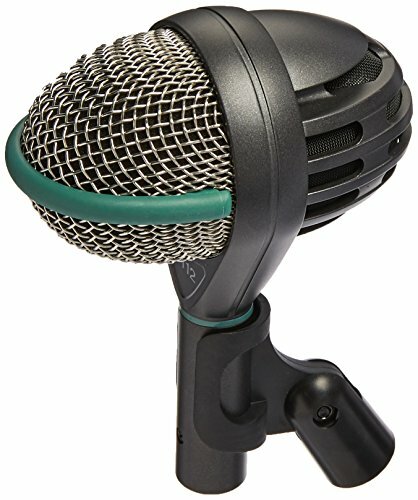 Where is the best positioning for a Kick Drum Mic? 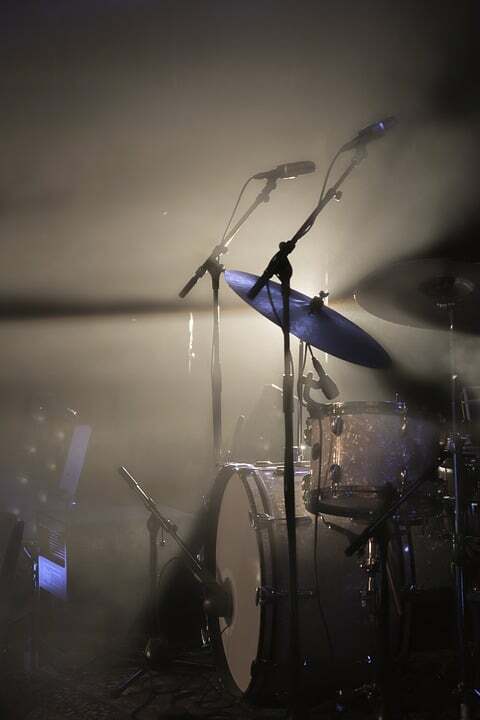 There are many industry leading brands that take it upon themselves to provide quality kick drum mics for their customer, and it’s not easy to choose a winner among that batch of opportunity available for you. If you're looking for the overall top drum mics - click here. To help you with finding the right product for you, we have put together an informational article about the kick mics that are now dominating the market shelves and personal studios! With a list of 10 products and an epic FAQ section, we hope you will find some information here that will aid you in making a good decision. 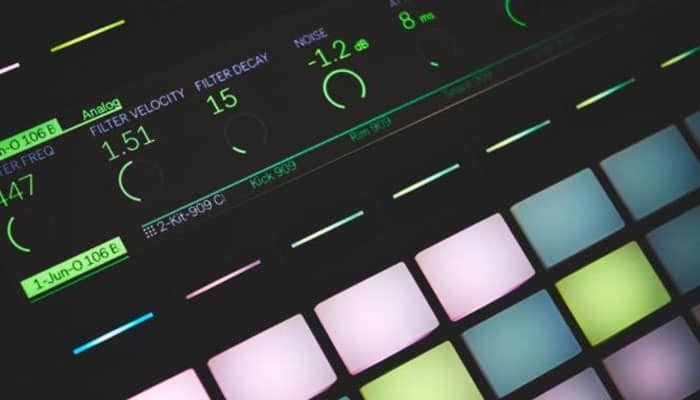 Read on to find the best sounding kick drums on the market right now! Shure has been on the market for a long time now, and it’s no wonder that their kick mic has assured itself a place among the Top 20 list on Amazon and is also an Amazon’s Choice product. If you are looking for a quality piece of equipment that won’t make your rich bass notes sound flat, the Shure 52A is a product that should be taken under consideration. If you are looking for a mic that is tailored specifically to pick up kick drum and bass instruments, this is definitely the one. It has a frequency response that is shaped in a way to enhance and be 100% compatible with bass instruments. 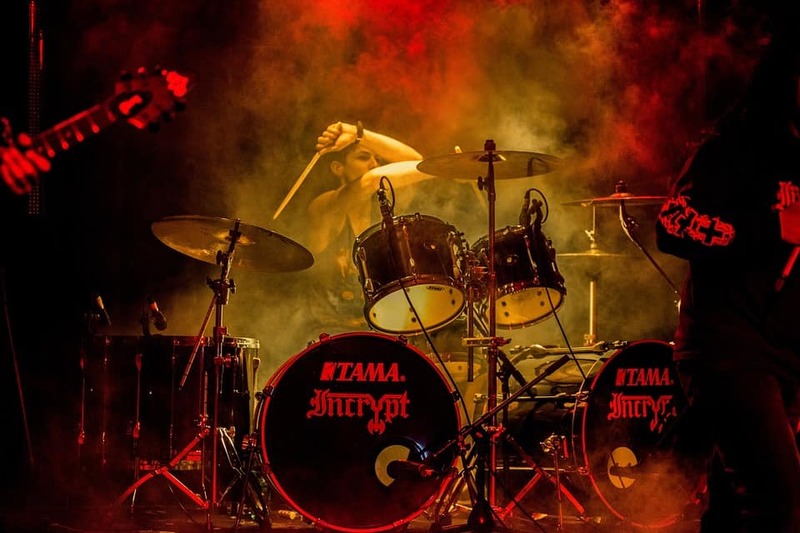 The hardened steel mesh that surrounds the drum head is also meant to endure all kinds of wear and tear abuse that can be inflicted during passionate practice sessions and tours. The studio quality performance that this mic will supply you with is second to none- you will be like your music is being represented in the best way it can be. The Shure 52A also has a fantastic rejection to unwanted noise, and all drummers know that unwanted noises are common when using cheap microphones, that however doesn’t apply to Shure’s mic. If you have never bought a Shure product before and don’t know how reliable they are, we can safely assure you that if you buy from Shure, you will be buying from one of the most legendary brands in the industry. Why We Liked It - Shure’s BETA 91a kick drum microphone is ideal for anyone that is looking to have deep, rich bass tones instead of flat, fleeting mics for their acoustic drums – or electronic drums. For guitar amp mics - see the top 10 here. It has a studio-quality performance and the leather case is a nice addition from Shure to help keep your new mic safe and protected from scratches or other accidents. Audix is another brand that has been supplying all music shops and online retailers with faithful and reliable products that can last a lifetime. The Audix D6 has phenomenal clarity when it comes to reproducing and is a great microphone for recording sounds; if you have been trouble recently with getting that crisp, deep tone that kick drums are known to emit, then the D6 might just be the perfect choice for you. It’s also good to know that Audix tests and assembles all their products personally, and the mics are run through tests to ensure you get only the best quality product to serve you with your music endeavors. The D6 microphone can handle very high Sound Pressure levels without having them be accompanied by uncomfortable, painful and most of the time unwanted and unneeded distortion sounds. The low mass diaphragm ensures that you will get only the best and most authentic kick when using this mic during your playing. When using a microphone for recording drums, you need to make sure you have new drum sticks (click here for our full guide). Without proper sticks, you may experience unwanted sound, or it may sound 'dull'. If you are looking for a mic that can also handle floor toms and bass cabs, Audix still has you covered, since this product can handle recording and reproducing the sounds of most bass instruments. The mic is also not picky about how it’s placed, which is a huge bonus when you just want to sit down and play without fussing with the placement of your gear! A good option is to get a decent drum mount to make things easier. Why We Liked It - Audix has supplied the market with a good-looking, robust and sturdy microphone that can accompany you on tour or in studio without any trouble. 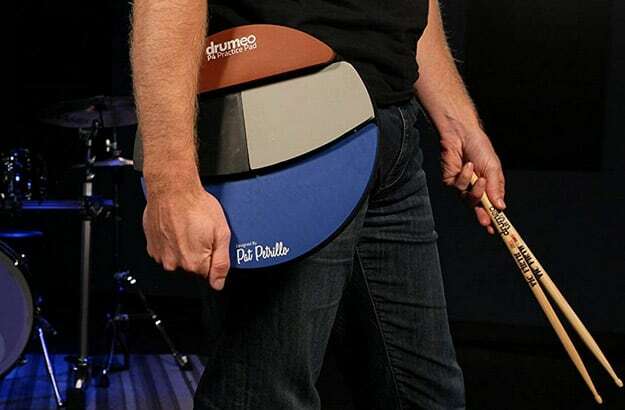 The lows mass diaphragm is specially designed to give you the best transient response possible so that your performances and recordings can be as faithful to your playing as possible. Sennheiser is undoubtedly a brand name everyone has come across at some point already- not only are they known for the phenomenal quality of the mics they sell, but also for the high-end headphones. As is common when buying Sennheiser’s products, the E602 ii has a 10 year warranty, giving you the satisfaction that if something goes wrong on your end, you can always seek help when you need to. The solid build of this kick drum mic can be seen from the get-go, and you can be sure this mic will last you for a long time yet if you decide to invest. The slick design of this microphone is very pleasing to look at and original when you compare it to other kick kick mics out on the market today.The large diaphragm that was incorporated into this design enhances the pick up of even the lowest bass sounds and reproduces them as faithfully as can be. The integrated mic stand mount is also a fantastic addition to help with the stability and positioning of the E602 ii. If you are looking to have the convenience of a plug-and-play mic that you can almost forget about when you are in the zone, Sennheiser’s kick drum mic doesn’t need to be wrestled with and works almost right out of the box. Why We Liked It - Coming with a 10 year warranty, Sennheiser is one of the most reliable brands in the industry that has incredible faith in their products. The Sennheiser E602 is the perfect example of a product that both comes at a great price and performs exceptionally well, whether it be on stage or in studio! Electovoice’s kick drum mic will make sure that you get the deepest, fattest bass sound possible when recording and playing your drums live. This mic is suited perfectly for bass instruments and the metal, robust frame of the body will make sure that your mic stays safe and protected inside, despite all the wear and tear that kick drum mics are usually exploited to. The hypercardioid pickup pattern that is wrapped around the head of the microphone is known to reduce the feedback and bleeding you could get from other instruments around or even from the rest of your drum set. 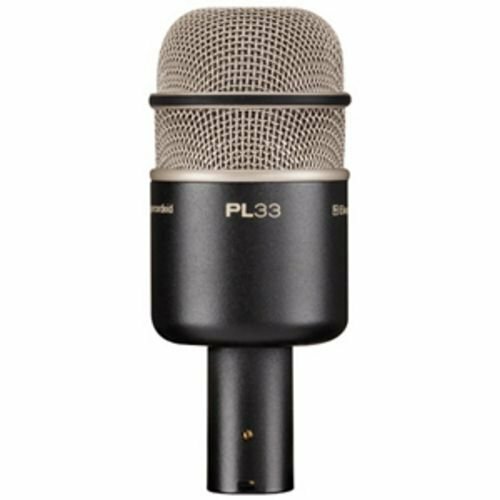 The PL33 comes with a mic clip to help you control your new device better, and it also comes with a velcro cable tie and a bag for the microphone itself, since Electrovoice know that having a place to store your new purchase is vital if you want to keep it in good shape for the upcoming years. Many customers praise this kick mic for having a quick snap and attack response that is necessary when recording and playing drums live, since even the slightest delay of the quick, punch, intense sound of kick drums can ruin the performance. Electrovoice has tailored this microphone to be especially compatible with outdoor and live playing, though it works just as well within the studio, too! Why We Liked It - Electrovoice’s microphone is tailor-made to fit any live or in-studio performance thanks to the features that it comes with. The zippered bag, robust design and quick response time make this mic one of the best candidates for live performances, and many customers can testify to how well it works on stage! MXL’s kick drum mic is one of the most affordable options out on the market when it comes to buying a good, sturdy product. The A-55 is designed especially for bass instruments and is known to capture low-frequency sounds with great precision and authenticity. It’s a dynamic product that is ready to help you make your live and studio sessions leave an impact. This mic is also perfect for floor toms, bass cabinets, tubas and any other instruments that emit a deep, rich kick sound. The metal construction here is made to endure even the heaviest of wear and tear uses, no matter if you bump into it or if you drop it to the floor, the A-55 is a microphone that will keep serving you and your music regardless. 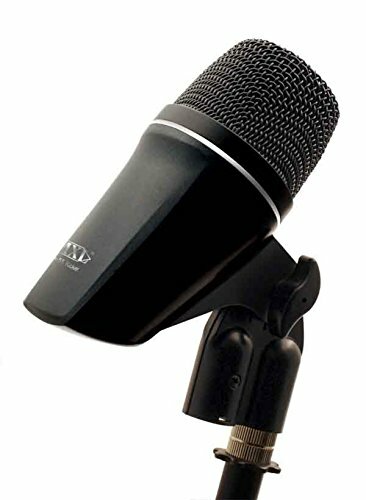 The robust, low kick sound that is so perfectly captured by this microphone packs a punch, and if you are keen on having the snappy, immediate response that is often necessary to have when playing acoustic drums, or electronic drums - this mic is the product to go for when choosing your next kick microphone. With that said, many microphones are tailored for specific music genres, but the A-55 will record all styles of music and reproduce them faithfully, no matter if it’s jazz, rock or metal. You can rest assured that you will be able to count on MXL to help you create your best performance space! Why We Liked It - MXL’s kick mic is the one to go for if you are looking for immediate response time and very dynamic sounds that pack a punch. This microphone is the best option for anyone that is looking to have a reliable and faithful product that will record their kick drum sounds without any bleed through coming from the rest of the drum kit. Once again, Sennheiser has showed us that they can give the market a kick drum that looks extremely fashionable and inviting. If you are into having this modern look attached to your drum set, this condenser mic has a lot to offer, especially performance wise. The response of this microphone is optimized to capture, reproduce and record all bass kick drum sounds that you will throw its way. 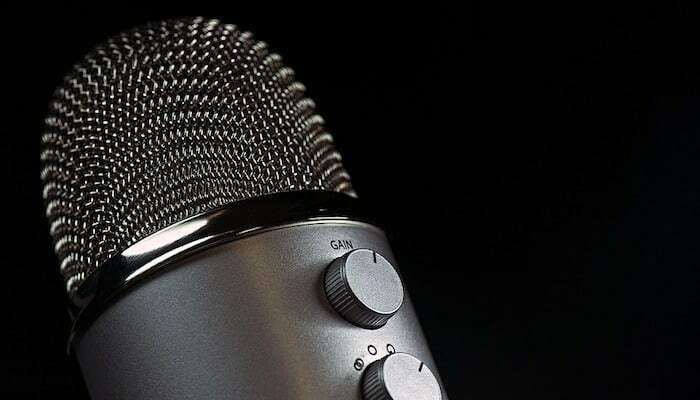 Many people seem to have a problem with the fact that most, if not all, microphones need to have a stand, and fiddling with the stand to get the microphone to be in a suitable position can be frustrating to say the least. Sennheiser knows the pain that comes with adjusting microphones, and that’s why the E901 doesn’t need any kind of stand. You can simply take a pillow and lay it front of the kick drum, that’s all there is to it! If you are keen on having an easier time with your kick drum mics and like to take up comfort when it’s offered, this mic is definitely a choice you should consider when choosing your next drum microphone. Despite the mic being tailor-made for bass frequencies, it’s also very capable of handling very high SPLs and comes with a 10 year warranty, too! 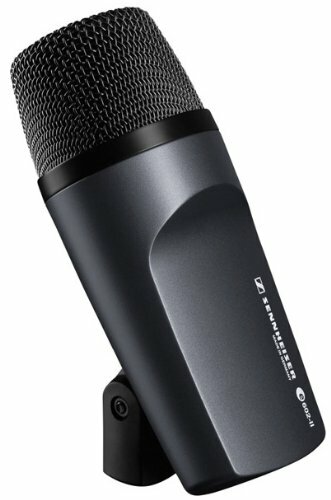 Why We Liked It - Sennheiser has been on the market for a long time, and they know how frustrating microphone stands can be, and that’s why decided to finally introduce a product that doesn’t have any of that. With the E901 you can easily start playing within seconds without having to fiddle around the kick drum for half an hour! A truly epic condenser mic! Here we have another one of Shure’s legendary kick drum mics, this time the PGA52. The cartridge, cardioid design is made to take in specifically low frequency sounds, which means it’s the perfect candidate for anyone that is looking for microphone to use with their kick drum. This is also referred to as the proximity effect. Shure have also made sure to include a zipper pouch with this product to encourage protection of the microphone when travelling or keeping it on the shelf. Shure’s quality design and construction is definitely something exceptional, and that’s why many of their microphones are used when performing or recording live thanks to their endurance. The microphone is extremely easy to set-up thanks to these features and more importantly, it stays in place with a drum mount. The cardioid pattern here also rejects all unwanted noise that can be surrounding you and your instruments; the PGA-52 focuses on the single sound source only, and it does so with great accuracy and intensity. Shure is known to update their designs and make them more intuitive and easy to use, and the PGA-52 isn’t an exception. The black, metallic finish is a great touch and it should blend into any recording or live environment flawlessly. 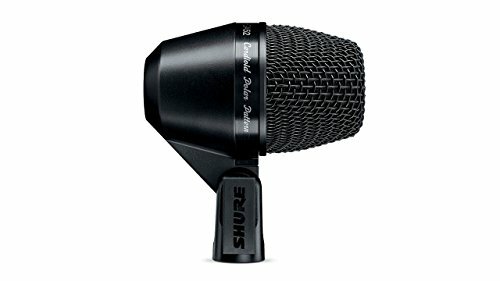 Why We Liked It - Shure provides their customers with a lot of options when it comes to this microphone. Not only do you get a zipper pouch to store your new kick mic in, but you also get new technology drum mount that includes a very adjustable swivel joint that stays in one place no matter how you twist it. This kick drum microphone is the perfect choice for anyone that is looking to combine quality sound and endurance. This mic is capable of picking up your kick drum sounds within milliseconds, giving you absolutely no delay. 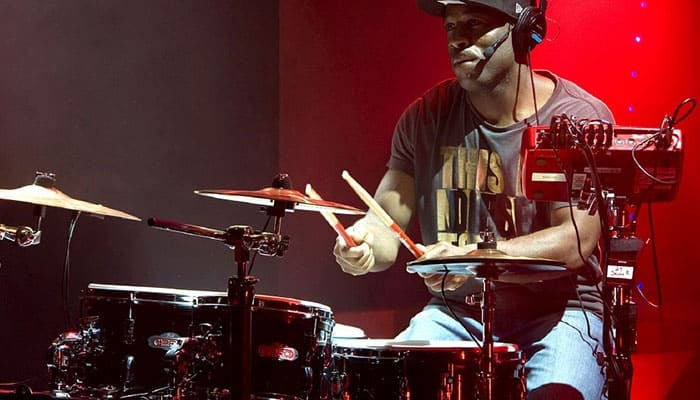 Having a reliable microphone that can represent you and your performance faithfully is a vital part of playing for any drummer, and Sennheiser does exactly that with their quick response times. The stand mount is already integrated into the design and as is common with the Sennheiser, you get a stunning 10 year warranty guarantee. The mic is also capable of aiding you with recording other instruments too, like the tuba, bass etc. If you decide to invest in this product, you will also be getting a bag to help keep your new microphone safe and sound when you are not using it or when you are travelling. It also weighs only 440g, which makes it out to be the perfect travel companion thanks to the light-weight! Being a part of Sennheiser’s Evolution series, you can be sure that this microphone will give you the most precise sound you could possibly ask for. It’s the ideal product to use for recording or playing live thanks to its compact size, attractive features and endurance. 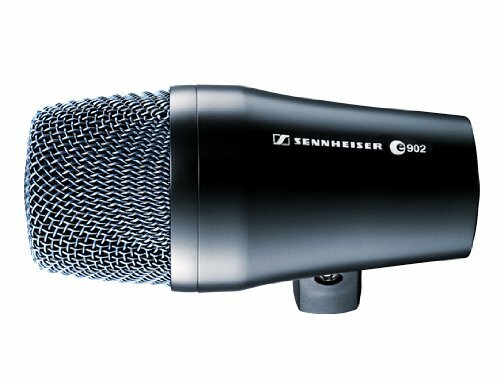 Why We Liked It - Sennheiser’s e902 mic is a mic that is perfect for tours and live performances thanks to its incredible ability to solely focus on the kick drum sound source entirely. Sennheiser will also provide you with a case where you can easily put your new microphone and keep it safe from any harm! Much like Sennhesier, AKG is not only known for representing the microphone industry, but the headphone one, too! It’s a great note to make, since it solidifies the reliability of the product. The AKG D112 mkii has a solid SPL capacity of 160dB, which makes it a fantastic dynamic microphone for kick drums and bass instruments. If you have noticed that your old mics are losing their touch and don’t pack a punch like they used to, AKG can fix that easily. 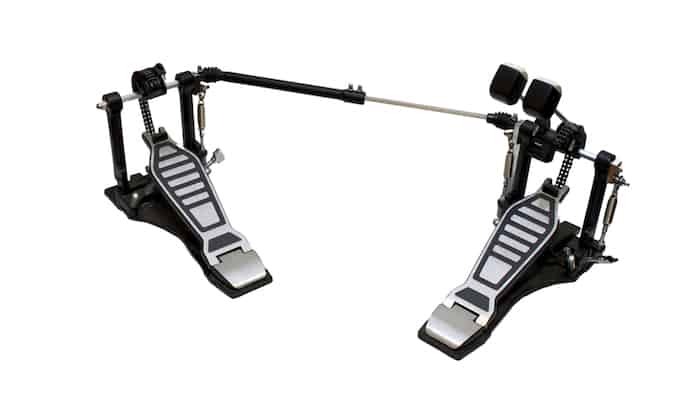 The bran is known to produce microphones that have a very fast attack and response time, which is vital when playing the electric or acoustic drums since every beat and kick needs to be captured simultaneously. The polar cardioid pattern will make sure that the microphone will focus only on one sound source: the one provided by the kick drum itself. All other noises surrounding you and the microphone will be rejected, and AKG is a master at designing mics that do this. This mic has a lot of kick, and if you like having an intense, punchy sound, then AKG will offer you just that and more with the AKG D112 mkii. If you also play other low-frequency instruments like the electric bass or tuba, this mic can capture and record all of these without any trouble, thanks to the specially tailored cardioid pattern. Why We Liked It - AKG is one of the most dynamic sounding mics out on the market today. Every drummer knows that it’s vital to have a reliable and solid kick drum mic if you are trying to impress the audience. AKG’s microphone is perfect for both live and in-studio performances and will give a punch to any recording! It’s no surprise that Shure has made its way to our list once again, this time with another original design. Following Sennheiser’s idea of having mic preamps that can lay on the ground instead of having a stand that needs to be wrestled with, Shure brings us the BETA 91A. It’s a fantastic combination of Shure’s two previous microphones, the Beta 91 and SM91. Combining the two and improving the final product thanks to customer feedback, Shure has made a fantastic kick drum mic that is not easy to be rivaled with. These perfect mic preamps can be placed within or outside your kick drum without fuss. The sound here is very crisp and clear and will undoubtedly record your drum tracks without any troubles. The design here is only half-cardioid, which means you will have to use the drum mount to place it close to the kick drum, or else it will record the whole kit! The customers who have invested in these mic preamps praise it for having a clear, crisp, powerful live sound that packs a thump. 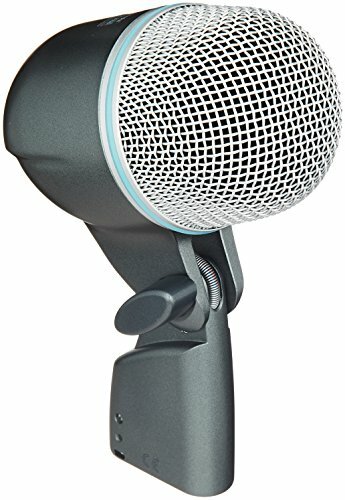 If you are planning to play live with this microphone, it’s the ideal product to help you reject any unwanted noise that bleeds through when using cheaper microphones. The design here is robust and sturdy, not to mention modern! Why We Liked It - You won’t have to spend time fiddling with this mic either, you can simply place it inside or outside of the kick drum and leave it be as you go and enjoy your playing session! It’s the ideal comfort-all-around mic that every drummer surely needs in their life. It’s definitely one of the best designs on the market if you are looking at efficiency and sound! A kick drum mic is a special microphone that is designed by various brands with bass amps to help you record and perform live with your drum kit by amplifying and reproducing the sounds you play faithfully and accurately. 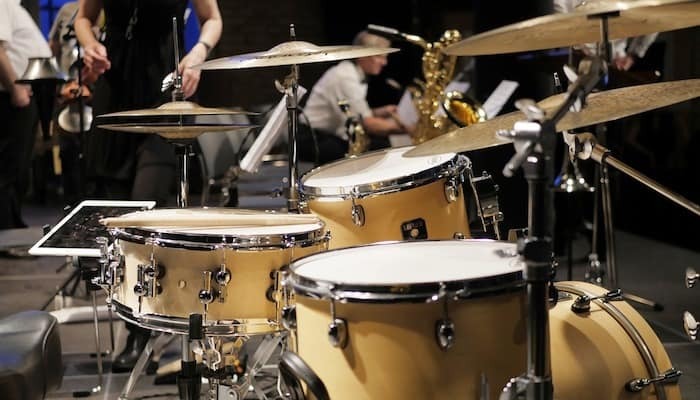 Kick drum mics have very specific specs that make them different from other microphones and have a lot of factors that make them tailor-made to being used with kick drums or bass instruments in general. Every mic has a different polar pattern, but usually, they can be grouped into sub-categories. For example, a polar pattern decides from which side the mic captures sound. If it is a cardioid pattern, it captures sound from the front and from the sides and rejects and bounces off any sounds that may come from the back or at 180 degrees. A cardioid microphone belongs to the Unidirectional microphone family, and that is the most common type of mic used when looking at bass drums. A super-cardioid microphone is a bit like the cardioid mic with only minor differences. It can pick up more sound around the 180-degree angles but does not have as much sensitivity on the sides. The hypercardioid pattern captures even more sound from the 180-degree angles than both the cardioid and super cardioid mics but rejects more sound from 90 and 270-degree angles. There are also multi-pattern microphones, where you can interchange all of the aforementioned patterns thanks to the capsules provided in the bundle, another great option! If you are going to be playing in a noisy environment, it is vital to know which polar pattern will be most efficient to choose. Since we are talking about kick drum mics, it is best to choose a microphone that will pick up the lower ends of the Hertz scale since that will suit the purpose you will be using it for. This means that for a kick drum mic you want to look at mics that pick up sounds that go as low as 30Hz-40Hz. Usually, these specs are stated directly under the product in a bullet-point format. SPL stands for Sound Pressure Level and is used to measure (in decibels) the maximum volume that the microphone can take. This is an important spec to kick drums since they are very loud instruments and pack a really loud punch which some microphone cannot handle. The ideal decibel for the sound pressure level for a kick drum is around 130dB-160 dB. Many drummers eventually turn to buy a kick drum mic at some point in their career because it is a useful tool if you want to start recording songs or performing live. 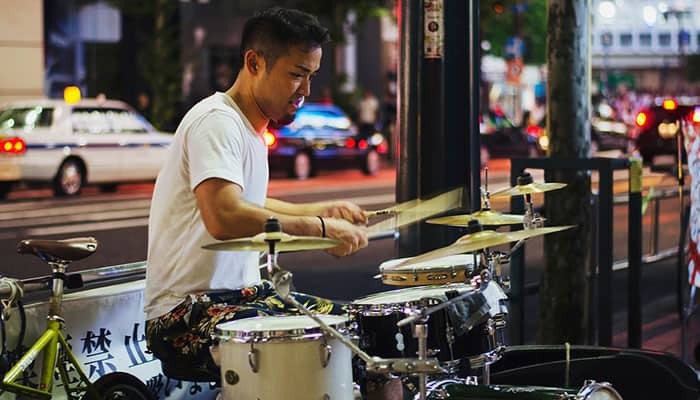 Even if you are a hobbyist or a drummer in training, it is very useful to have kick drum mic since it will help isolate the sound of the particular drum and help you see where you make your mistakes. 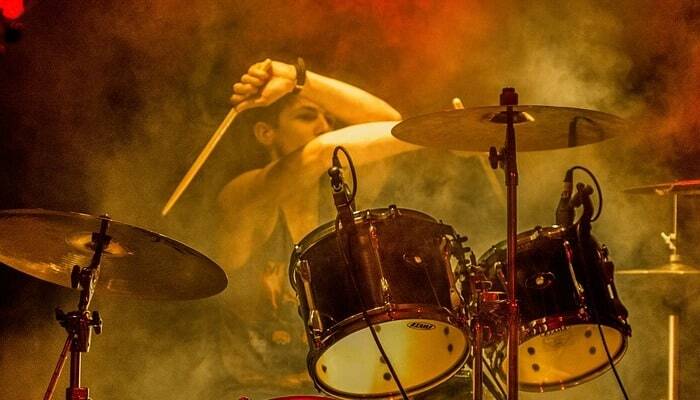 If you are going to be playing live, many people in the audience love the oomph that a separate kick drum mic can provide, making the band come more alive with the music they play and the sounds will be more rounded since the crowd will be able to heart the whole drum kit properly. Kick drum mics are very easy to use and set-up, you have to plug them in, and either place it outside or within the kick drum, depending on what your preference is! There are many benefits to buying a kick drum mic. For example, for personal use, you will be able to see what mistakes you are making that occur primarily when playing the kick drum. This will help you sort out your mistakes and arrange a new training plan so that you can fix that, and the crisp and clear recording of a good kick drum mic can be invaluable for practice sessions. When playing live, people simply love the deep, bass sound of the kick drum, and it is really worth it to supply your drum kit with a kick drum mic so that you can have a full, rich range of live sound when playing live with the rest of your band, since that is usually the beat that the rest of the band bases their timing on! When you are playing in the studio and need to record a few quick demos or a professional track, you will need to have a mic attached to all of your acoustic drums (bass, snares and cymbals) so that you can get a full range of all the drum kit sounds that you are making, and that includes the kick drum! There is no single way to set up a kick drum mic, but the two options available are either placing it inside the kick drum, which will give a warmer tone, or placing it outside of the kick drum, which will provide you with the big, deep, rich bass drum thump that many people seem to love. The best idea is to start experimenting with what you like and what kind of positioning works best, sometimes you will have to fiddle with the mic stand for a while to see which position best fits the style of playing you need, but more often than not you will quickly find that sweet spot your looking for within a few hours! 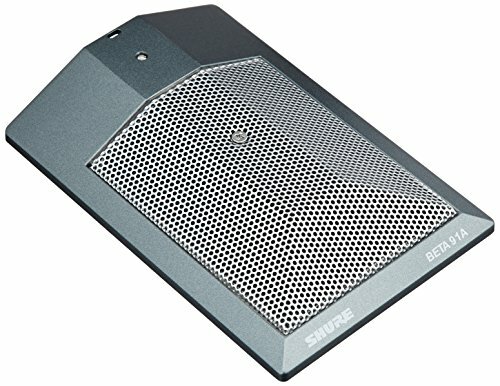 Our Top Choice spot has to go one of Shure’s products, and that’s the BETA 52A. The cardioid design here is made to specifically suit low-frequency instruments, such as the kick drum. You will be able to achieve high-gain thanks to the pattern and the sound rejection here is one of the best. 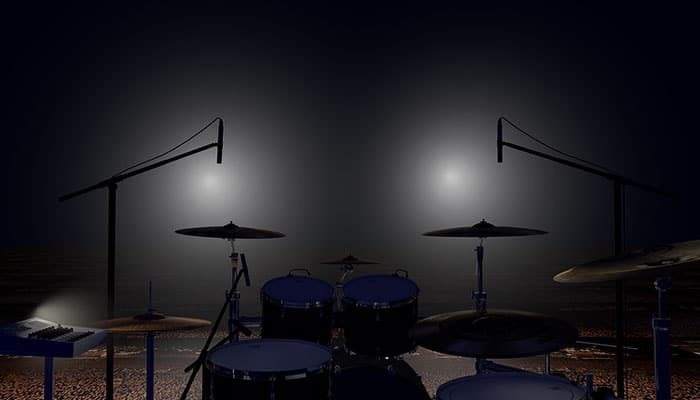 Every drummer surely knows the frustration that comes with buying a cheap microphone and then realizing that instead of a single sound source, the whole drum set can be heard. That’s definitely not the case with any of Shure’s products, and certainly not with the BETA 52A. You will get studio-quality sound with this microphone, and if you are looking to up your skill level, whether it’s by recording or playing live, you need only the best equipment to do so, and Shure is the best candidate to provide you with such reliability. 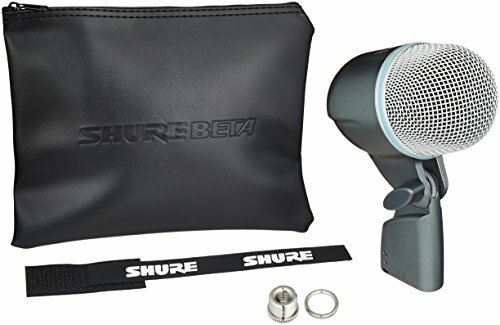 The customers praise this product wholeheartedly for the great performance it gives and not only that, Shure also supplies every purchase of the BETA 52A with a small leather case to help keep the product safe. Shure’s Beta 52A has to be our Top Choice thanks to the fantastic features and service that it offers. The sound is crisp and clear and reproduces the thump and punch of the bass drums perfectly. 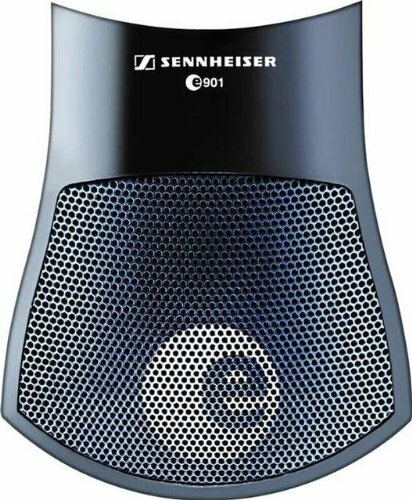 Our Premium Choice product has to be one of Sennheiser’s mics, specifically the E901 kick drum mic! Sennheiser has introduced a new way of thinking into the kick drum mic world: a microphone that can lay on the ground within or outside of the drum. 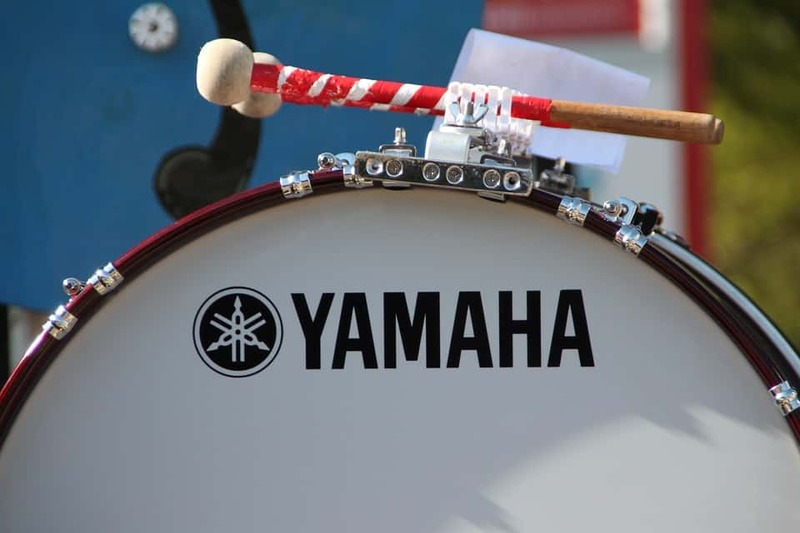 This reduces the amount of fiddling that drummers usually need to endure when trying to position the mic stands in a way that best represents the sound of the kick drum, and this can take up to half an hour depending on how bendy and flexible the stand is! Sennheiser decided to strip the drummers of having to go through that process, and instead introduced a microphone that can lay down on the floor and still record as effectively as if it was supported by a stand. Another great option is the Sennheiser Evolution, but it is, of course, all down to the user themselves. Coming with a 10-year warranty, it’s hard to attribute any fault to this powerful little device. The frequency response is tailored to specifically pick up bass tone sounds and to do so effortlessly and reliably. Another great thing about this product is that it doesn’t need an adaptor cable, which is great for those that like to have minimalistic gear sets where they don’t need to worry about losing all kinds of cables! Sennheiser’s e901 kick drum mic has to be our Premium Choice product thanks to the originality of its design and fantastic functions that it comes with! Our Great Value product has to be another one of Sennheiser’s mics, and that’s the E602! It’s a fantastic bundle for the price, and the slim design is extremely attractive and should suit anyone that is looking to have an original looking piece of gear recording their kick drum. Many customers state that this mic is the best sounding microphone for kick drums in the world thanks to the punch and thump that it manages to reproduce when you play. It also comes with a 10-year warranty, therefore if something should happen your microphone you can quickly get the problem sorted. The integrated stand mount is also a useful addition that will prove to be useful for many. Sennheiser knows that when you are playing live, there can be no mistakes, and that’s why they tailor-made this microphone to have the best response time yet. It’s easy to use, powerful and has a defined sound that other drummers who have different mics will surely envy. If you need a dynamic microphone that will represent your kick drum faithfully, Sennheiser has got you covered with the E602! Our Great Value choice has to be the E602 kick drum mic thanks to the fantastic price it has and the rich detail and recording abilities that it provides! There are many industry giants that make kick drum microphones of phenomenal quality, like Sennheiser, AKG, Shure, MXL and many more. 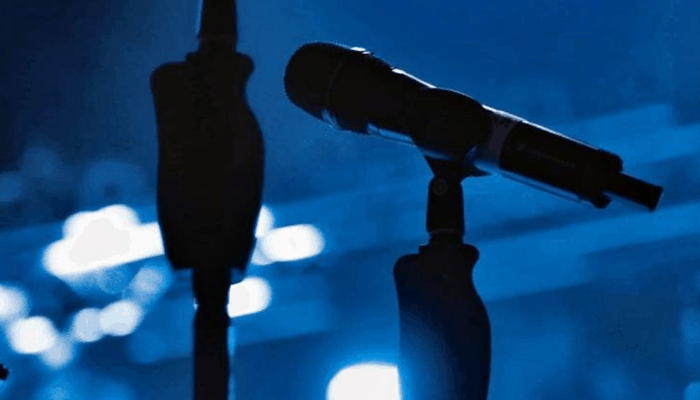 Trying to choose a mic when you are offered so many fantastic options can be difficult and overwhelming, however, we still hope that we helped you take a step forward towards the right direction. If you still remain unsure about which product to purchase, we recommend watching and listening to samples of the microphone you are interested in and we wish you the best of luck in finding your new mic as soon as possible!